4 Beauty Sprays Dry Skin Sufferers Need — Pepper B. There are two outrageously terrible symptoms of untreated dry skin. The first is how your skin feels. Your skin can feel so tight that you fear any facial expression you make could force your skin to crack wide open. If it ever reaches the itchy stage, your mind can focus on nothing else until you get that heavy duty moisturizer on your skin. The second symptom is how your skin can look. It's worse because it adds insult to injury. Not only are you physically uncomfortable but now you're self-conscious of all the little flaky patches on your face. about to shed right off your face like a snake's skin. For us makeup wearers, untreated dry skin is a nightmare. Your makeup can't look good if your skin ain't right. 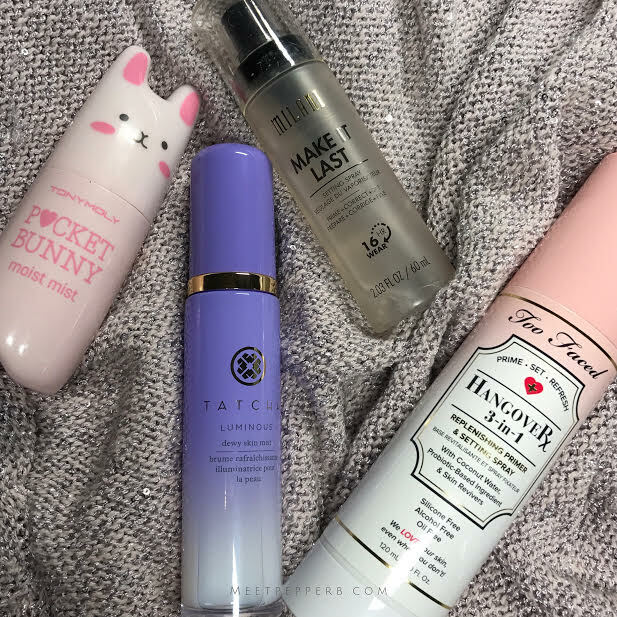 Here are four sprays that make dry skin look and feel JUICY! The time between when you cleanse your skin and apply a moisturizer is very fragile for dry skin survivors. If your skin is still too wet, the moisturizer will slip off your face but you won't even know it. That is until 10 minutes later when you sneeze and you could swear the skin on your forehead must've broken off. I've literally touched my forehead to see if I was bleeding because it hurt so badly. If you wait even a little bit too long to apply moisturizer, well you already know. Itchy. Cracky. Terribleness. 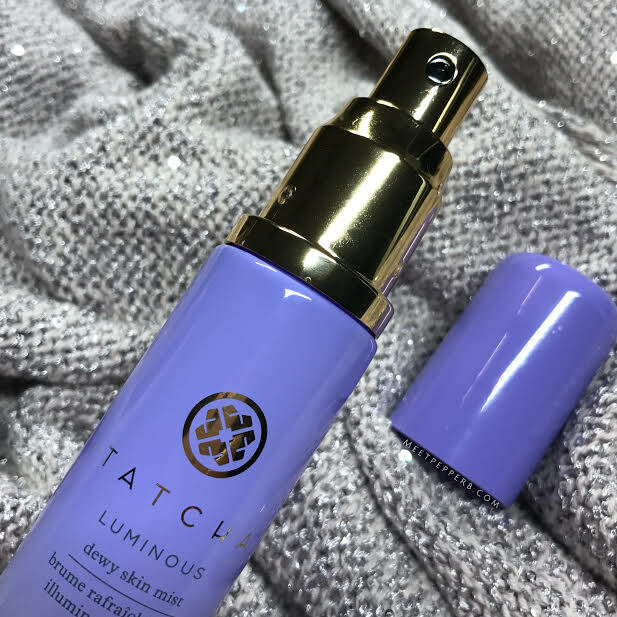 The Luminous Dewy Skin Mist by Tatcha was an instant hit for me. When the serum spray sunk into my skin, I was amazed by how supple my skin felt. I've bought it a few times and I'll buy it again. Tatcha claims you can use this on top of make up but I don't like to use it that way. Dewy becomes greasy really fast. Take the less is more approach with this spray. Tatcha: The Luxury Skin Care Line Social Media Gurus Go Crazy For: Is It Worth The Hype? My skin was juicy like a peach! The mist is fine as hell and so am I. If your skin is crusty + dusty, your makeup is dusty + crusty. It's all about that skin prep. 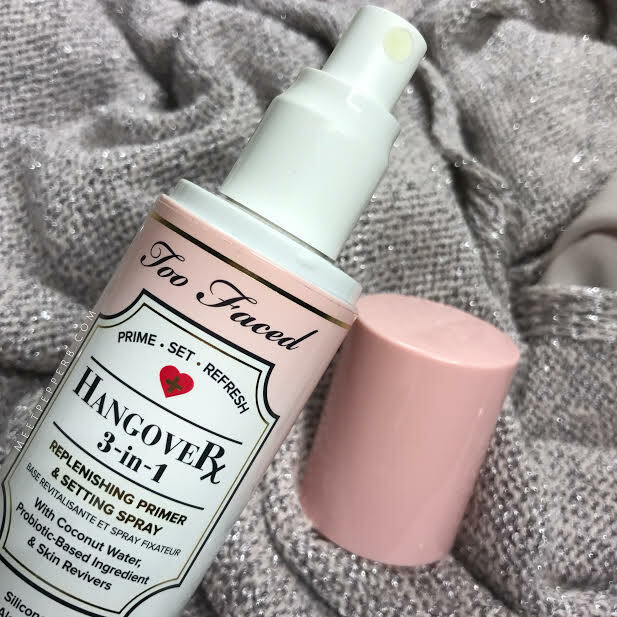 The best primer I have used is the Too Faced Hangover Rx Replenishing Face Primer. OMG is it good. When Too Faced came out with the spray version of the creamy primer, I could not wait to get my chubby little hands on it. I don't know if my bottle was just a dud but the nozzel is pura trash. TBH, I didn't even realize it leaked until I filmed this gif. The mist is FAR from fine. It spits in your face. So spray it in the air and let it fall on your face. However, truth be told, the spray works as well as the original primer. What makes this formula so bomb is the ability it has to keep your skin feeling like it has been freshly moisturized without feeling like you have moisturizer on your face. It's a liquid Houdini! So the real tea is that Too Faced calls this a 3-in-1 product. Nah. It's just a 1-in-1. I only use this product as a primer because both formulations leave your skin feeling so sticky. You feel hydrated and look radiant but if you touch your face, there is an undeniable tackiness. Using this as a setting spray is a hell no. Unless you want to feel like you're a piece of double sided tape all day. It also doesn't help with fine lines or pores but I'll take both over crusty looking skin any day. But probably because I don't have a ton of either. OOO, also the scent soothes all of your woes. Foundation, concealer, powder, highlight, blush, bronzer -layer after layer, babes with dry skin know how we can look after all that powder. I'm not putting in all this effort to look like I have been rolling in the sand. My makeup skill level is intermediate, so I also need a setting spray that brings it all together for me with just a touch of glow. In the past 6 months, I have bought this product 3 times. While you're reading this, I'm probably on my way to buy another one. It's affordable, it smells good, I look great. Milani is a brand you shouldn't sleep on. This setting spray is an amazing product. alter the finish of my makeup. I picked a foundation for a reason. I chose a powder for a reason. I like how it looks. I just need a little extra help not a totally different look. I like a 'natural glow' over a dewy-sweaty look. I had always used the Make Up For Ever Mist + Fix but I hated how sweaty I looked. 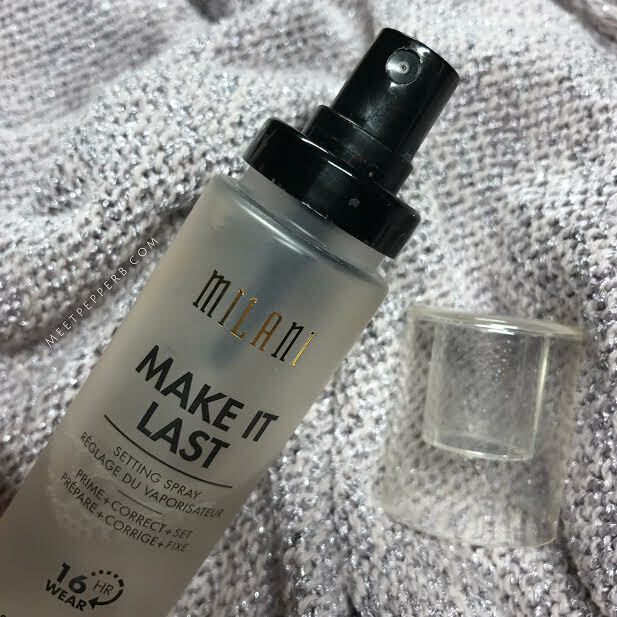 This Milani spray gives me the same longevity of the MUFE spray without the 'she's just wet' look. What is tragic about this setting spray is the amount of alcohol in it. I haven't noticed any changes in my skin since using this product but I am always cautious with my dry skin. Take care of your skin especially after wearing makeup. Move over, big hair! My radiant goddess dreams achieved. Dry skin doesn't care who you are, where you're at, or what you are doing. It chooses when you can look juicy and when you will look stale. The best thing you can do is be prepared. You need moisture with you at all times! This is not a drill. All the time. The contents of my purse include these essential items. Not pictured: 8 lip products in shades of fuchsia berries and my long yellow wallet stuffed with old receipts and about $6 worth of assorted coins. Tony Moly has the most adorably packaged products. The Pocket Bunny Moist Mist is no different. This little guy has saved my skin on numerous occasions. It is the only reason I was able to turn on the heat in my car without fear this past winter. Heating and air cooling systems alike make my skin feel like a piece of toast that has been left out overnight. I drive a lot. I love that I can just pop this spray out of my bag, give myself a little spritz and feel so comfortable. It doesn't disrupt my makeup. Everyone that rides with me, in the winter months particularly, has had me spray them in the face with my little bunny. Yes! They did like it! No ashy hands over here! Tell me how you tackle your dry skin!! What spray should I try next? This New Skin Care Ritual Will Leave You Glowing! Are People Really Buying Mini Fridges For Their Skincare? My Ride or Die Beauty Products of 2017!